The other day I posted about society and whether or not it has always been this scary. One of the things I have seen change in my life time, of 27 years, is trick r treating. When I was younger, our entire neighborhood would participate in handing out candy. All of the kids that lived in the neighborhood would be dressed up. There were always so many people walking up and down the streets with plastic pumpkins, pillow cases, and bags in their hands. We spent hours going door to door through the entire neighborhood, sometimes multiple times, collecting as much candy and goodies as possible. The last time I actually remember going trick r treating (for myself), I was 16 years old. I noticed then the neighborhood participants weren’t like they use to be. I also noticed there was a lesser amount of people on the streets. Though, it wasn’t as drastic of change as it is now as I look back. When Chris and I moved into our house, I was excited to finally be able to decorate for the holidays. I’m a holiday obsessor. For Halloween, we decked out our front yard in tombstones, spiders, rats, ravens, crows, skeletons, Jack o laterns, lights, ghosts, a witch, and a couple inflatables. I made 50 treat bags full of candy, fake bugs, and pencils. Halloween finally came. We dressed up as scary skeleton faced people with fancy clothes. We put on Halloween music through the windows and put strobe lights out front. Then we waited. Nobody came. The only little girl that came by was the one across the street from us. Where were all the kids? The only people I even saw dressed up were getting into their cars and driving elsewhere. I looked up our street to see that not one house had their lights turned on (the sign that they are handing out candy). I looked down around the bend and only saw one house with their light on and decorations. I was bewildered. What was happening? Are people scared of children knocking on their door? Are parents afraid of knocking on doors? Has the peanut allergy become that much of a crisis? Why and when did things change? Now that I am a parent, I can see where fear sets in. Everyday on the news and internet we hear/read/see stories about child abduction, rapists, pedophiles, violence, and all the negativity of the world we live in. It has increasingly become the normality of our society. Though it has always been there, I cannot say if the degree of it has changed or if it’s just being paraded more. Now, I am a big believer in traditions. One of those, for me, is Halloween and trick r treating. Now that society is claiming itself as an unsafe place to be able to go door to door, how can we keep the tradition going? Last year, we went through Chris’ parent’s neighborhood, they have more participants. The turn out was ok, but even his mom noticed there were less kids than usual. I never felt unsafe in their neighborhood. I prefer trick r treating the old fashioned way, but I am realizing it might be becoming a thing of the past. So how else can we keep the tradition alive? 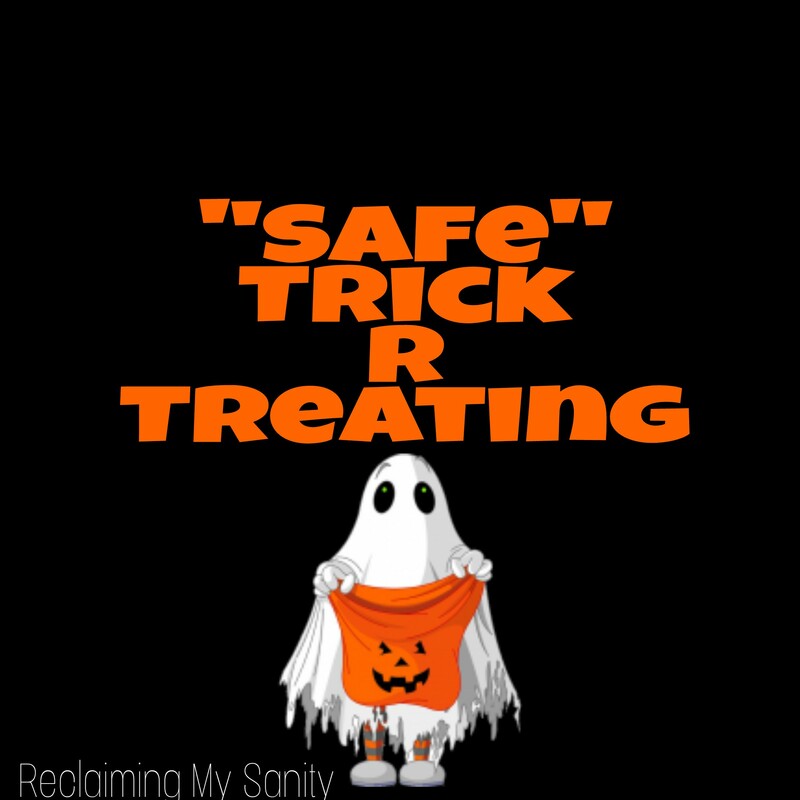 Many businesses are holding “safe” trick r treating nights. One of the ones we go to every year (since Pickle could walk) is at the Henry Doorly Zoo. There are booths set up that businesses decorate and they hand out goodies to the kids. There are characters you can take your picture with. There are fun activities like games, inflatable obstacle courses, dancing, and a foam party. They do have some of the exhibits open so you can see some of the animals. It is a good time and the kids really like it. 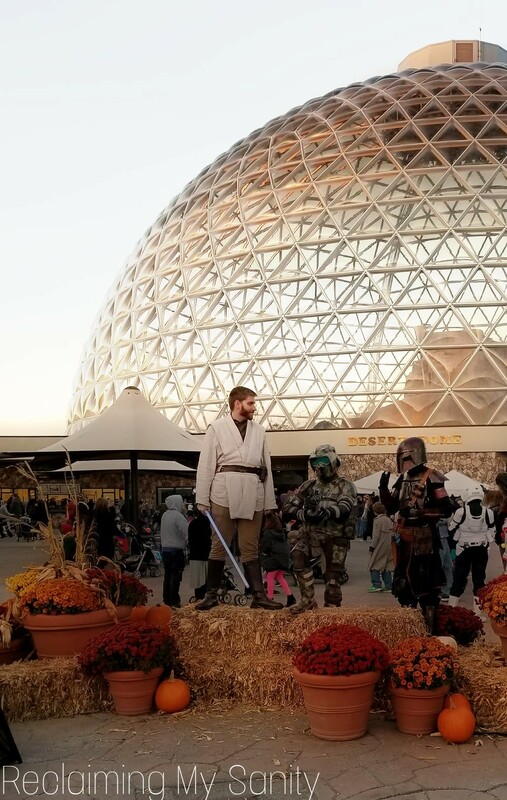 In our community, our city government puts together a safe trick r treat night. It is at the local community center. We haven’t been yet, but we might go this route this year. I read they have a hayrack ride, food, and of course the candy. I think these safe nights are becoming more normal in our fear stricken world. I can’t help but feel sad that this is what it has come to. My children’s version of Halloween will be different than mine. Which, is fine, we can’t live the exact same life. Time changes things and I know that, too. If these safe nights are the only way the tradition stays alive, then that is what we will do. I used to think that it was my imagination that there were less kids and that it was just that I got older. You know – how the slide used to seem GIGANTIC and now you realize its 4 feet tall? It makes me sad to see the change – halloween was always so fun as a kid and I want the same for my kids! Yes! Like the hill I would go sledding on seems smaller now. I hope my kids don’t learn to live in fear.